Óró Sé do Bheatha ‘Bhaile had been rallying call for Irish nationalism for nearly 300 years. It was widely used as a marching tune for Irish rebels taking part in the 1916 Easter Rising and has remained popular ever since. In 2006, it was put before a worldwide audience when it was featured in the misty, atmospheric marching scene in the Ken Loach film, The Wind That Shakes the Barley. 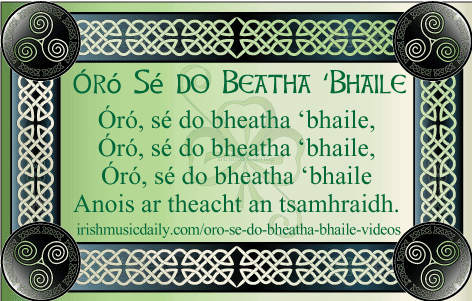 There are two versions of Óró Sé do Bheatha ‘Bhaile. They are both sung to the same tune but have different lyrics. The original version dates back to the 18th century and the Jacobite Rebellion, which aimed to overthrow the Protestant English monarchy and place the Catholic Bonnie Prince Charlie on the throne. The Irish supported Prince Charlie and thought that if they helped him, he would remove the English landowners who had taken over so much Irish land. The song Óró Sé do Bheatha ‘Bhaile welcomes Charles to Ireland and looks forward to him leading a successful rebellion and banishing all the English from Ireland. The Jacobite Rebellion didn’t succeed, however, and Prince Charles failed to meet Irish expectations as a leader and liberator. The modern version of Óró Sé do Bheatha ‘Bhaile was written by Padraig Pearse – one of the leaders of the 1916 Easter Rising in Ireland. Pearse liked the song as an Irish rallying call but wasn’t happy with Charles as a figurehead. For a start, Charles was Scottish and more importantly, he was a loser, having failed in his bid to become king. Pearse felt that a song about a failure like Charles would hardly inspire confidence in the next generation of Irish rebels as they prepared for the 1916 Easter Rising. For this reason he removed Charles from the song and turned instead to Granuaile – the Irish “Pirate Queen” whose real life exploits had become the stuff of legend in Ireland. Granuaile was a larger than life character who became the most famous woman in Ireland in the second half of the 16th century. She was intelligent and charming at the same time as being a ruthless military leader to a large band of sailors and clan warriors who ruled the seas off the West Coast of Ireland for more than half a century. Granuaile went under various titles including Sea Queen of Connaught and the Pirate Queen. She fought against the occupation of Ireland and was twice imprisoned by the English. Despite all their efforts, the English could not defeat her or break her spirit and this made her a legendary figure. She became a symbol both of Ireland itself and of Irish refusal to submit to a foreign power. This was just the kind of defiant spirit that Pearce wanted to evoke when he rewrote the lyrics to Óró Sé do Beatha ‘Bhaile. 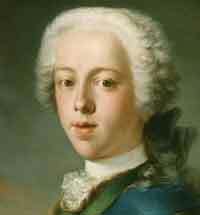 Pearce’s version of the song removes Bonnie Prince Charlie and replaces him Granuaile, a true, native Irish figurehead. The song now welcomes Granuaile home and refers to her imprisonment, which is mirrored by the effective imprisonment of the Irish people who saw their land being usurped by the English. This is a direct reference to the old Jacobite version of Óró Sé do Beatha ‘Bhaile which referred to Prince Charlie coming with French and Spanish warriors. That rebellion failed but this time Ireland’s fate would be in the hands Irish warriors. Pearce wasn’t just indulging with symbolic references to a mythical past; he was dealing in the present and looking to the future. The song welcomes home the spirit of rebellion in the shape of Granuaile but it also has a more down to earth purpose in reaching out the 200,000 Irish soldiers who were fighting with the British Army against Germany during the First World War. 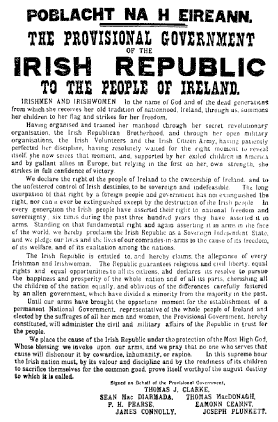 Pearse, like many Irish nationalists at the time, thought it a supreme irony that Irishmen were fighting for the right of small nations to be free when they weren’t free themselves in their own country. Pearse believed that if only some of those soldiers could be persuaded to fight on the side of the rebels, then independence would be achieved for certain. This theme was explored fully in the brilliantly reflective song, The Foggy Dew. 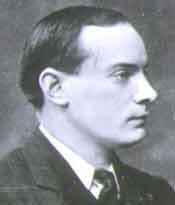 Pearse’s version of Óró Sé do Bheatha ‘Bhaile retains the old Irish melody used in the original version. By the end of 19th century, the tune had been used for the sea shanty, What Shall We do with a Drunken Sailor. Indeed, that was the song with which the melody was most closely associated for many people. Pearce’s rewrite changed that. His version of Óró Sé do Bheatha ‘Bhaile became immensely popular with Irish nationalists both immediately before and after the 1916 Easter Rising. It remains popular and well known in Ireland today.